How do I know if I have been “called” as a missionary? Some people actually receive a vision from God, directing them to serve. For others, the calling is less dramatic; they feel compelled to share God’s grace and love and respond to the glory of God’s will within themselves. Like Samuel in the Bible, we need to open our hearts to God and listen to His words (1 Samuel 3). Trust in the Lord to give you guidance. The Bible tells us: “And He said to them, Go into all the world and preach the gospel to every creature…” (Mark 16:15 NKJV) Missionary work can be for all those who trust the Lord to guide their actions and provide for their service. A missionary commitment can be open to those with a compelling desire to spread the Gospel to people far and wide who live under conditions and cultural norms much different than their own. How do I know if I will be effective on the mission field? Missionary service is both physically and emotionally demanding. Talk with your pastor or others who have served on the mission field about any concerns you may have. You may also consider becoming trained to serve as a missionary. 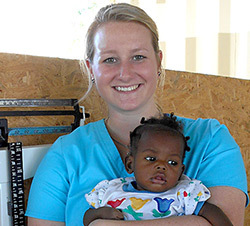 How do I apply to serve with Love A Child in Haiti? Meet with your local pastor to discuss your intention to serve; your church’s recommendation is an important step in the application process. Call our Florida office to talk about Love A Child’s current needs and available opportunities. Our phone number is 239-210-6107. Are there any physical requirements for service? Physical health and fitness is an important aspect of most missionary work. The terrain in Haiti is difficult, and our missionaries often have to walk many miles, or use donkeys to get from place to place. Our outreach projects include feeding programs and health clinics set up in remote areas, so a missionary must be able to walk an average of six miles a day and be able to lift 20-30 pounds. 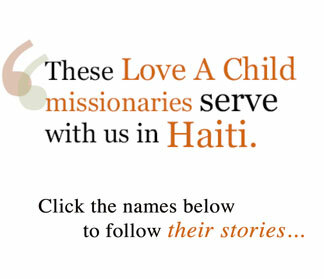 What does a missionary do on a typical day in Haiti? Every day, missionaries in Haiti spread the Light of the Gospel, while sharing and demonstrating God’s love to the poorest of the poor in Haiti. Depending on their talents, missionaries may work in construction, medical clinics, schools, agricultural training, the orphanage or any number of outreach projects. 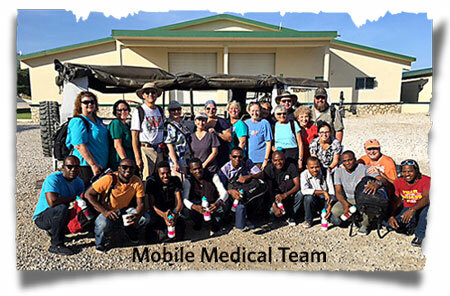 Although needing to frequently travel into the remote areas we refer to as “regions beyond,” our volunteer missionaries typically live at the Love A Child compound in Haiti, where they have periodic access to the internet. Social media and email are the most time-efficient and cost-effective means of communication in this country.